More and more, we are seeing companies who are willing to pay a premium on better quality apparel such as the Under Armour Polo tee or Under Armour running tees. Companies are willing to go for Under Amour as they recognise the benefits of a good piece of apparel, such as better fit and better cutting. Under Armour Singapore also has better technical specifications, such as superior moisture wicking, anti-piling and anti-odour properties. 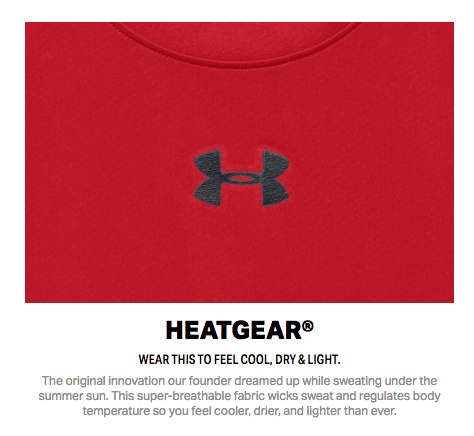 The brand association with Under Armour is also beneficial for marketing purposes. Where can companies procure authentic Under Armour apparel? Besides Under Armour Singapore retail store and Under Armour Singapore online, companies can also seek out authorised corporate distributors of Under Armour, such as Ark Industries. After procuring the Under Armour Singapore apparel, companies will need to find a suitable printing and embroidery company to help with the customization. Common ways of looking for reliable printing companies include seeking of recommendations from friends, checking out Facebook reviews and looking for vendors on Google. If you do not know of any reliable printing company, you have come to the right place! At Ark Industries, we carry a range of Under Armour tops that is available in 2XS to 3XL sizes. Besides only selling the apparel, Ark Industries is also able to customize Under Armour polo tees, such as adding company logos or names of employees to the garments using the print or embroidery method. We know that premium Under Armour polo tees should only have premium quality prints and embroidery customisation. 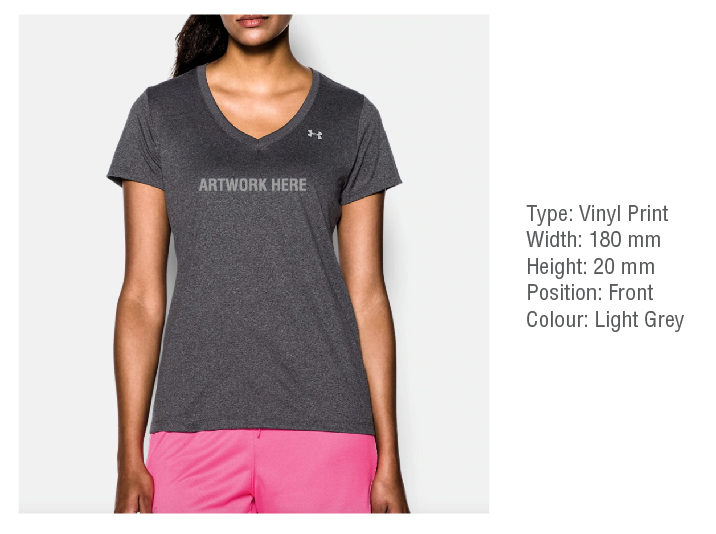 Simply let us know which Under Armour tees you are interested in purchasing and what logos you would like embellished on them. We will recommend the best print method accordingly. Our design team can create logos or artwork for you if you do not have any. We want you to look good. Print on various positions of the Under Armour polo tee – the collar, sleeves, chest and back areas. Print big on the front and back, or small on the left or right chest. 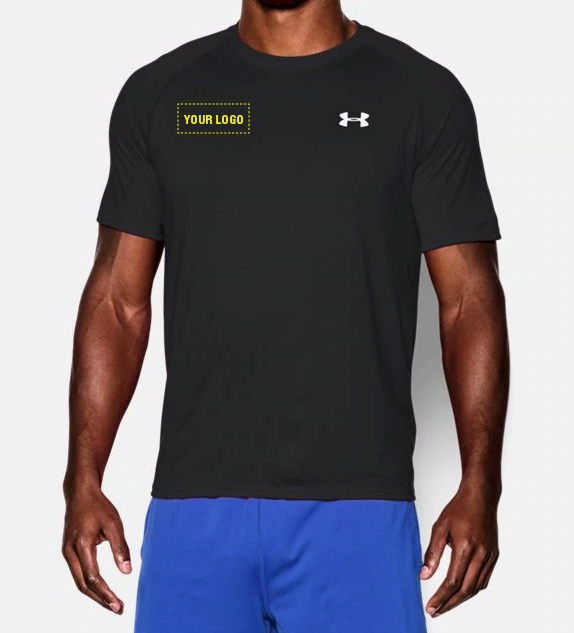 Consider customising the Under Armour polo tee for individual people by printing their initials, names or nick names on the left of right sleeve. This can be done using heat press vinyl prints. To avoid errors in printing and embroidery, all members of the production team are carefully selected and rigorously trained to ensure that everyone uphold the same values of being attentive to details and taking pride in their work. All printing and embroidery jobs are carefully planned. The designer will start off the process with a layout, detailing exactly where and how the print or embroidery should look like. For each job, every member of the production team handling the job has to ensure that everything that they have done is according to specifications, such as the quantity, size, colour. When the print and embroidery job is completed, the quality control team will check for any errors and omissions before allowing job to be sent to the customers. If there is any error that occur in the production process, we will explore ways to remedy the errors. Ark Industries has been in the printing and embroidery industry for more than 10 years in Singapore. We take pride in top notch service levels, print and embroidery quality. Ark Industries is the go-to company when you need a reliable printing and embroidery solution. Email us at info@ark.sg to enquire about how you can customize your Under Armour Singapore apparel!